Toilets are connected as part of the home's drain-waste-vent, or DWV, system. Vents release pressure on the discharge lines so that waste flows freely. All toilet systems require venting, but using an in-line vent is not appropriate for this application. Understanding more about plumbing vent systems will help you decide on the right kind of vent for your toilet. Toilets must be vented to the roof using a vent stack. DWV systems remove sewage and water that cannot be reclaimed. These systems include shower heads, sinks and toilets. Vents aid this process; they create neutral air pressure inside the pipes by allowing external air to follow the waste as it flows through the pipes. Almost all plumbing fixtures require vents to operate properly. Without a vent, waste and other liquids could discharge down a pipe only with the use of a special sewage lift pump. There are generally two types of plumbing vents. One is the vent stack. A vent stack consists of an air admittance pipe that sticks out of the roof of a building. These vents allow air from outside the home to flow down the pipe as waste is discharged. One vent stack can accommodate multiple fixtures, including toilets. The other type of vent is an in-line vent. These small mechanical vents allow air to enter the pipe, but not to escape from them. These vents are installed along the discharge pipe and do not have to have access to outside air. Because toilets produce methane gas in the line, it is not safe to use an in-line vent in most cases. Instead, toilets must be plumbed to connect with a vent stack. The vent stack allows potentially dangerous gases to escape harmlessly outside. Most municipalities prohibit the use of an in-line vent for toilets, because these gases might escape into the home. Always double-check your local plumbing codes before venting a toiler. While local codes vary, vent stacks generally are required in most residential and commercial buildings. A vent stack is typically half the size of the soil or waste stack at its lowest point on the DWV system. 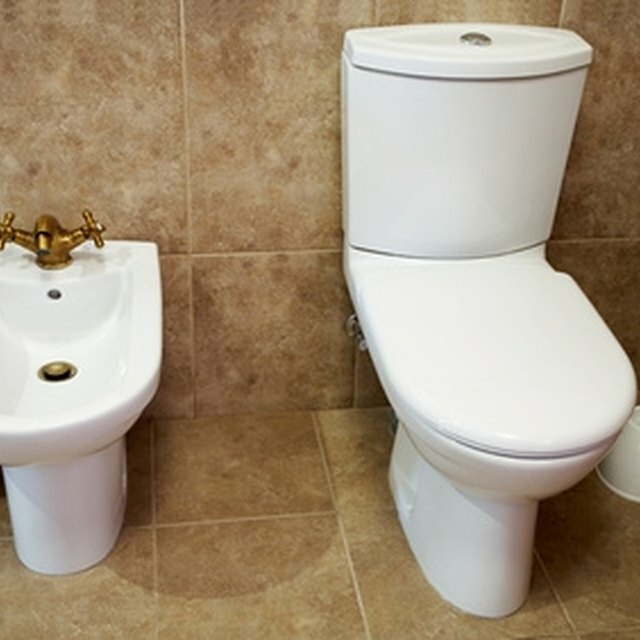 For safety of water sources, no toilet can be connected to a vent stack if there are other plumbing fixtures downstream of it. That means toilets might require their own dedicated vent stack. Most vent stacks are covered with a rain shield at the top of the roof to prevent water from leaking into the drainage system. Can Sewer Gas Leak From a Toilet?